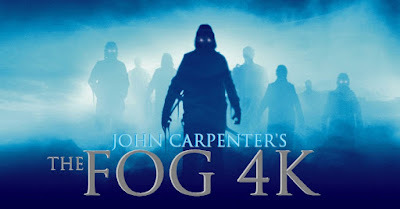 In horror news, it seems that John Carpenter's horror classic The Fog is going to see a re-release in limited theaters this Halloween. New York based Rialto Pictures is putting the StudioCanal 4k restoration back in cinemas beginning on October 26th just in time for our favorite holiday. It will open at the Metrograph in New York, the Music Box Theatre in Chicago and Nuart's Landmark in Los Angeles. It will also be screening the entire Alamo Drafthouse chain as well as other niche theaters. This is the first proper remaster of Carpenter's post-Halloween horror effort. Early word says that all faded color has been restored back to its initial luster and that most existing prints were totally unplayable.